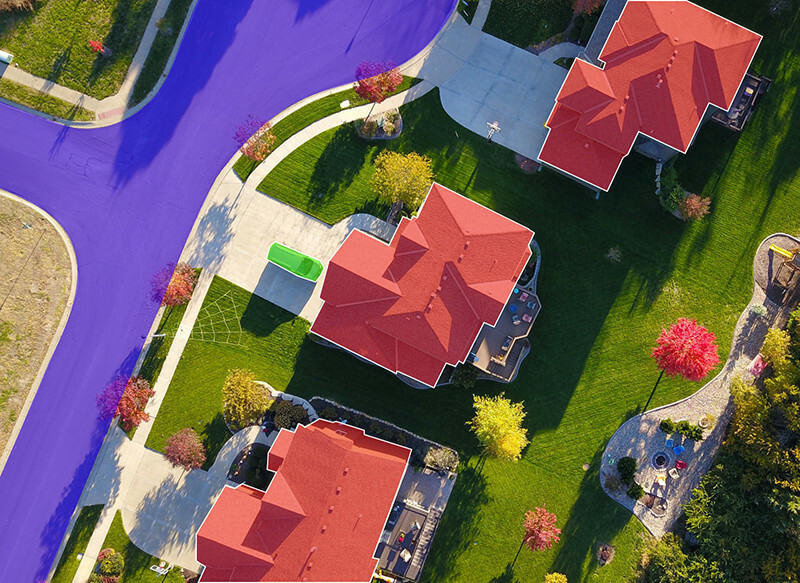 Make use of our image annotation services to obtain a considerable number of high quality training data for your computer vision models within a very short period of time. The potential of our self-managed crowd of over 1.5 million Clickworkers worldwide, ensures highly individual implementation of your image annotation projects. The Clickworkers use an AI based image annotation tool to process the images, which quickly provides accurate data sets for training your computer vision models. Our object marking with polygons and tagging solutions are ideal for training models that read and process images containing a variety of classifiable information as well as object details. Our Clickworkers mark the objects on the images in different ways according to the type of object. When marking with polygons they select a category specified by you. In addition, they label the markings with the respectively correct designation/object description. Does your model require pinpoint precision? Then the training data ought to consist of pixel accurate semantic segmentations. 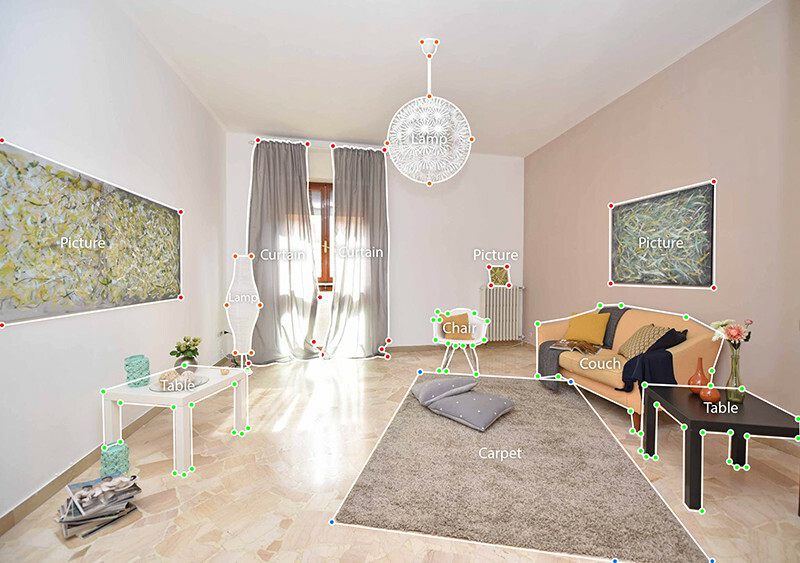 Our image annotation service for the pixel based semantic segmentation of image elements is ideal if a very fine granularity is required for training purposes. The semantic segmentation of images provides training data that enables pixel accurate identification of image elements by computer vision models. If required, the semantically segmented image elements can be tagged or labeled by our Clickworkers according to your specifications. 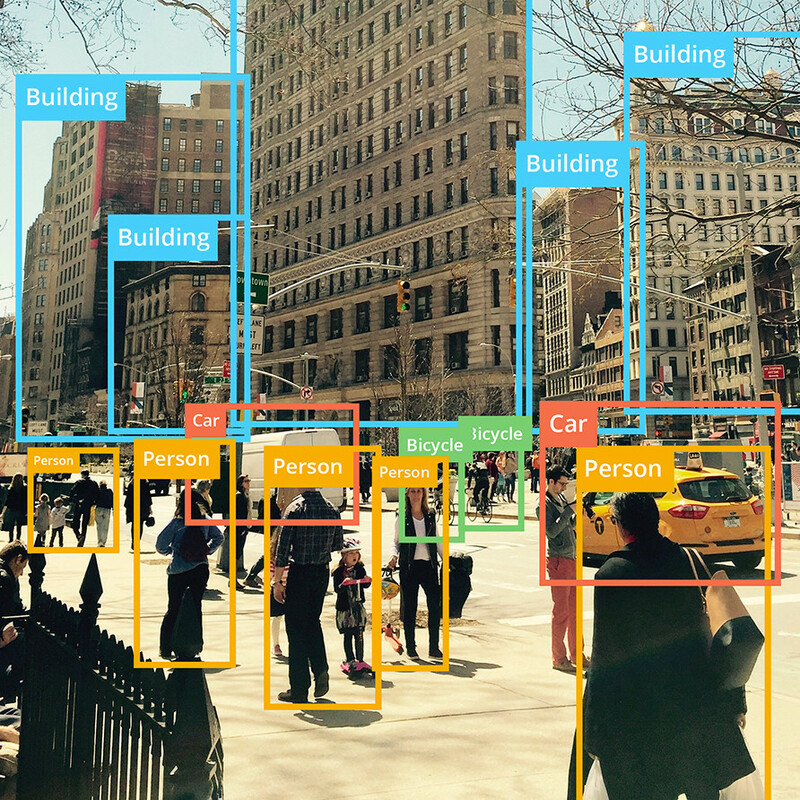 Our image annotation service with bounding boxes is perfect for teaching computer vision models how to locate individual objects and persons on images. 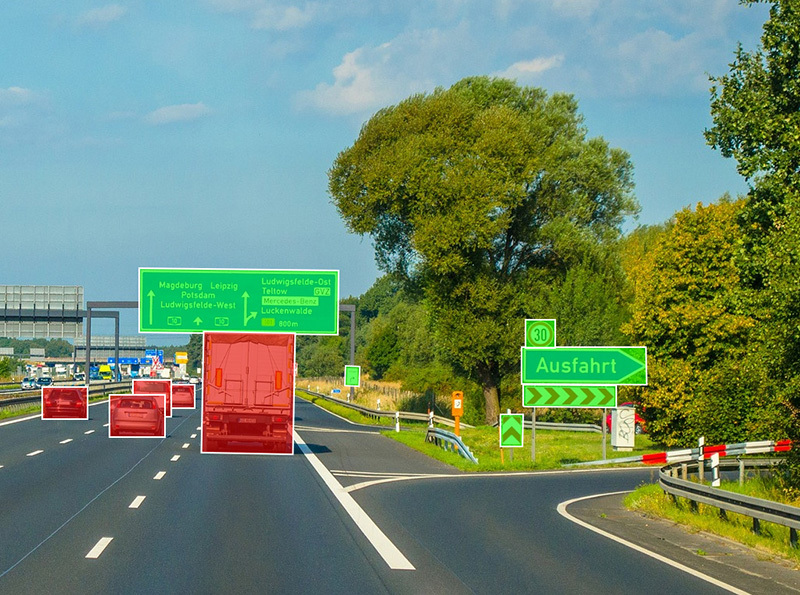 Automobile manufacturers usually use this type of training data to create infallible computer vision models, which recognize every traffic situation and enable self-driving vehicles. The bounding boxes can be differentiated, assigned into individual categories, and tagged or labeled by our Clickworkers. For training computer vision models the recognition of different shapes, stance and positions of objects or persons based on a sequence of distinctive points. Our image annotation with key points is perfect for training computer vision models based on distinctive points, or for recognizing and reading parts of the forms and positions of the object. 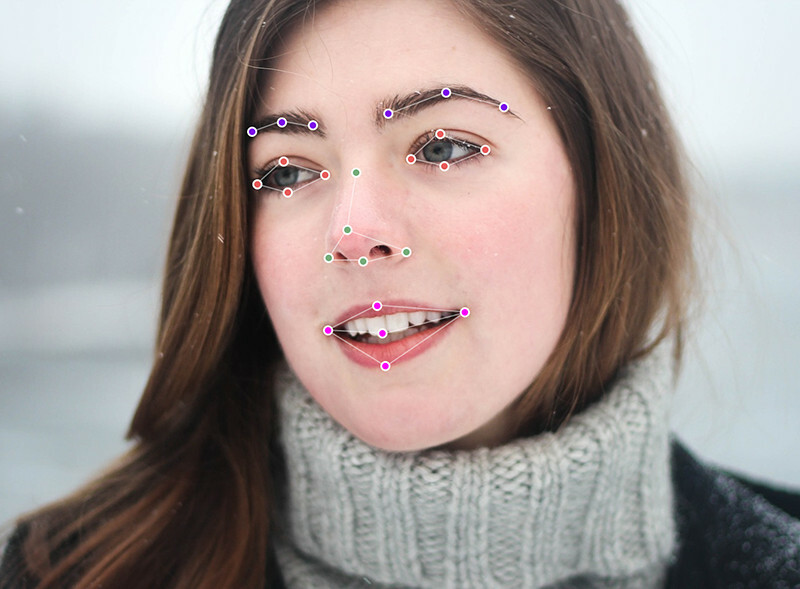 For instance, images in which our Clickworkers have accurately placed key points on distinctive parts of the face can be used by computer vision models as training data for the recognition of features, expressions and emotions. With this service the annotation can be carried out specificall, placing key points differentially according to the categories as specified by you. Our “Managed service order” includes project consulting, setup and handling as well as qualifying Clickworkers for project-specific tasks. A project manager is assigned to every client. All you have to do is discuss the guidelines for the implementation of your project with your personal contact person, and submit the data material needed – we do the rest. Over 1.5 million Clickworkers produce thousands of training data every day – according to the individual needs of our clients. The Clickworkers qualify themselves for tasks by way of detailed specifications when registering, with flawless results, as well as with project specific training measures. We can identify Clickworkers who are qualified for each of your projects according to your requirements; these Clickworker accounts are then activated for this particular project. With our image annotation service you can have all of your image annotations reexamined by us before they are submitted to you. With the technologically agile development of our platform we can create every project to meet the specific requirements of our clients. With our specially developed image annotation tool Clickworkers can quickly and accurately process image annotation tasks for you. Via API you can connect your system to our system to send us your raw image files as well as receive the annotated images. The prompt integration of several high quality training data to optimize your computer vision models is therefore guaranteed. With this service you can have images, videos and audio files tagged or labeled according to your needs. Additionally, images and videos can be assessed and classified according to quality, type, content and further criteria (for instance G-rated or X-rated). This service provides large quantities of images, individually taken by our Clickworkers on their smartphones, as training material for your AI image and facial recognition systems. If required, our Clickworkers by way of our image annotation service can also process this image material. Use this service to order videos, which are individually created by our worldwide crowd of Clickworkers, as training data for your AI systems. Depending on the training objective, our Clickworkers can create videos of their surroundings and objects, as well as human or animal motion sequences or actions.